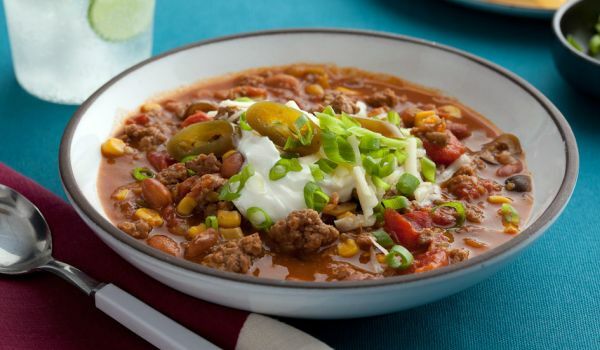 Discover easy ways to make yummy Mexican soup recipes. Read our collection and learn how to make Mexican soup. Corn Soup is a very popular recipe. 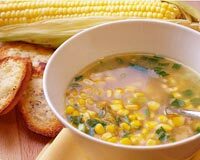 Learn how to make/prepare Corn Soup by following this easy recipe. Chicken Tortilla Soup is delicious mix of chicken onion and cheese. 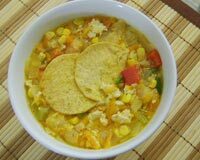 Learn how to make/prepare Tortilla Chicken Soup by following this easy recipe. 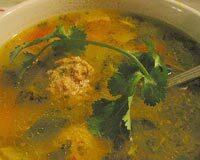 Albondigas soup is a delicious and healthy recipe. Learn how to make/prepare Mexican Meatball Soup by following this easy recipe. Vermicelli Soup is a delicious and healthy Soup. Learn how to make/prepare Vermicelli Soup by following this easy recipe. Tomatillo Soup is a Mexican style Chicken Soup. Learn how to make/prepare Tomatillo Soup by following this easy recipe. Azteca Soup is a nutritious Soup. Learn how to make/prepare Azteca Soup by following this easy recipe. Posole Soup is a delicious and healthy Soup . Learn how to make/prepare Posole Soup by following this easy recipe. Vegetarian Black Bean Soup is a spicy Mexican soup recipe. Learn how to make/prepare Vegetarian Black Bean Soup by following this easy recipe. Avocado Soup with Shrimp Ceviche is a creamy soup with a seafood twist. Learn how to make/prepare Avocado Soup with Shrimp Ceviche by following this easy recipe. Taco Soup is a very popular recipe. Learn how to make/prepare Taco Soup by following this easy recipe. Black Bean Soup is a healthy soup rich in proteins. Learn how to make/prepare Mexican Black Bean Soup by following this easy recipe. Beef Soup is a tasty recipe. Learn how to make/prepare Beef Soup by following this easy recipe. 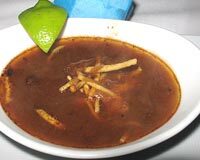 Guadalajara Soup is a nutritious mexican recipe. Learn how to make/prepare Guadalajara Soup by following this easy recipe. Shrimp And Octopus Soup is a yummy recipe. Learn how to make/prepare Shrimp And Octopus Soup by following this easy recipe.